"Teaching and learning German in a War Zone"
Club Outing to Goethe Institut, Park Circus. followed by tour of the premises, coffee and biscuits. You can view the Burns celebration on video here. There is also a link to a photo story of the sail on Loch Katrine along with friends from Traditional Music. Talks will usually be in German with regular English reprises, so we hope people of all levels of fluency are encouraged to come along. 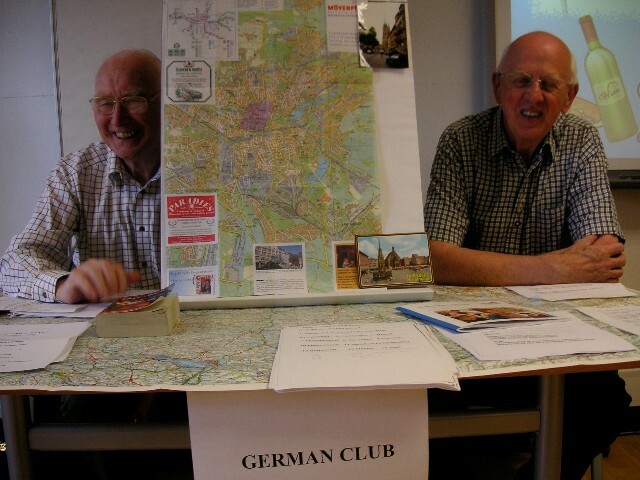 Membership of the Association is a requirement at a cost of £10 per annum and then you are welcome to join the German Club itself for which the subscription is £8 per annum.